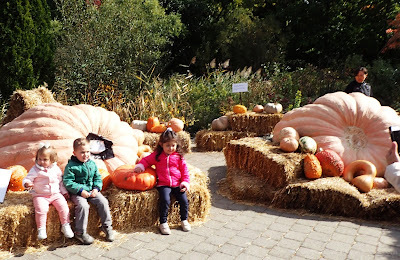 There is a long tradition of growing fruits and vegetables to be shown at country fairs. 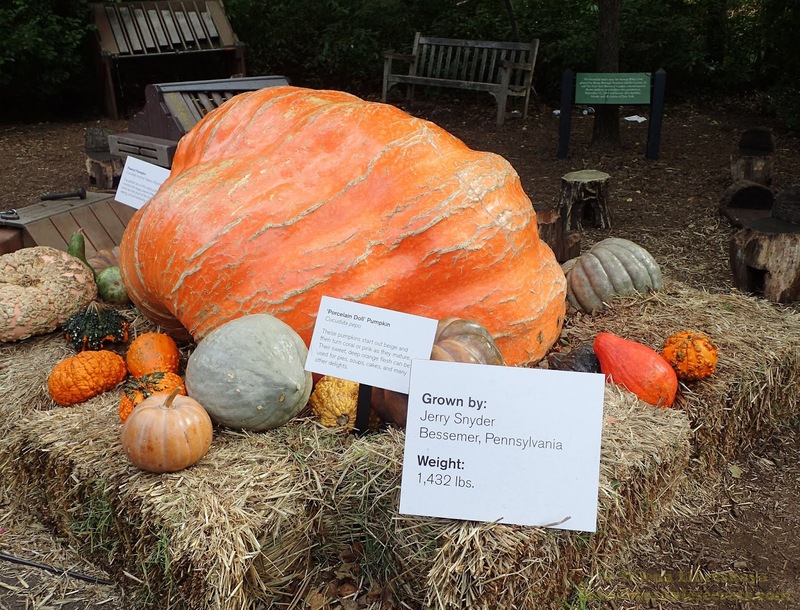 The history of the growing giant pumpkins can be traced back to 1857 when Henry David Thoreau, American poet, philosopher, and naturalist harvested a pumpkin weighing almost 124 pounds. The first official record was set on 1900 in Paris World's Fair. 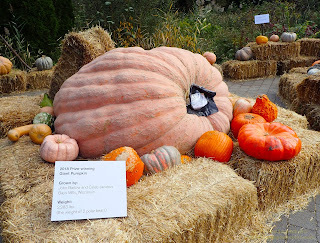 Four years later in 1904 William Warnock of Goderich, Ontario, using seeds from the same strain, produced a 400-pounder, a pumpkin so mind-bogglingly enormous that he was invited to display it at the Paris World’s Fair. Warnock’s pumpkin remained the undisputed champion of squash for nearly a century—until Howard Dill, of Windsor, Nova Scotia, developed the pumpkin breed now known as Atlantic Giant. This year Steve Geddes from New Hampshire , won $6,000 in prize money at the Deerfield Fair for his first place pumpkin. 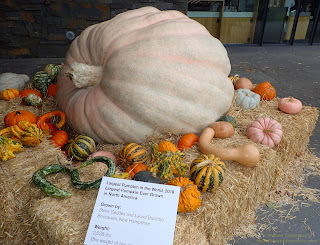 The Great Pumpkin Commonwealth, the global body that sets the standards for giant pumpkin growing, stated that the pumpkin by Geddes, weighing in at an astounding 2,528 pounds, is the biggest pumpkin ever grown in North America and falls less than 100 pounds short of the heaviest pumpkin ever grown. 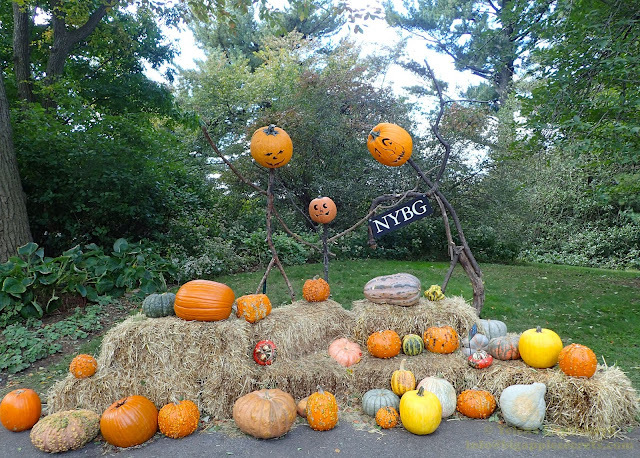 This year New York Botanical Garden in collaboration with the Great Pumpkin Commonwealth organized the Giant Pumpkin Exhibition. 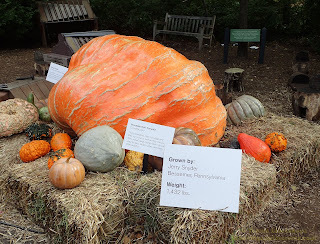 Monstrous pumpkins from around the country—some weighing in at more than a ton are on display through October 31. 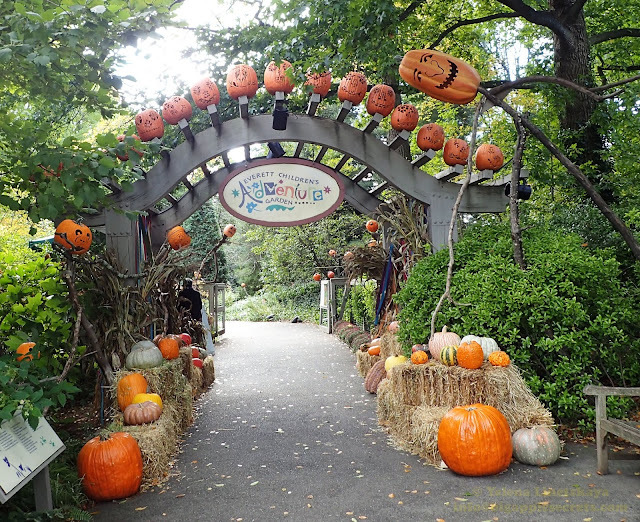 Kids can explore in the garden more than 100 friendly, larger-than-life scarecrows set among nearly 1,000 rare and unusual pumpkins and gourds. On Wednesday New York botanical Garden is free! Columbus Column monument at the center of Columbus Circle. About 2:00AM, October 12, 1492 a lookout on the Pinta spotted a land and alerted the rest of the crew with a shout. Pinta was one of the three modest ships that comprised Columbus’s party, and the land was one of the Bahamas Islands. It was his first voyage. 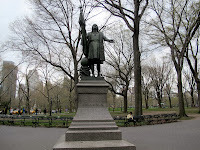 Four hundred years later in 1892 the monument of Christopher Columbus was erected in celebration of the 400th anniversary of the great explorer's voyage. A marble statue was created by Italian sculptor Gaetano Russo. A sculptor of allegorical figures in marble and of commemorative monuments, Gaetano Russo was born in Messina, Sicily and was a student in Rome. 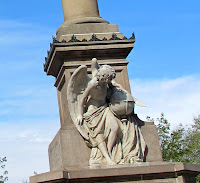 The monument stands about 70 feet (twenty-one meters) above ground on a granite column that rests on a stepped base. The column is decorated with bronze ship prows that represent the explorer's three famous ships: the Nina, Pinta, and Santa Maria. 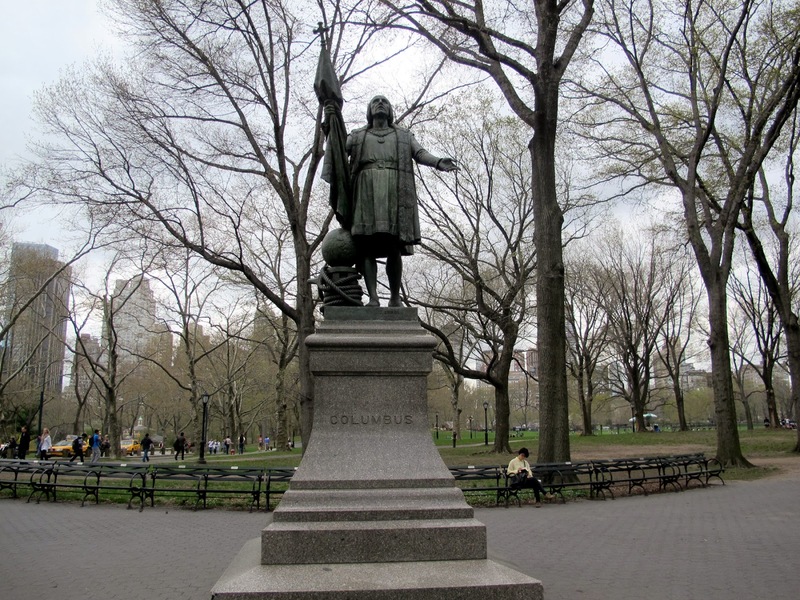 This statue is one of five sculptures of Columbus in New York City’s parks. 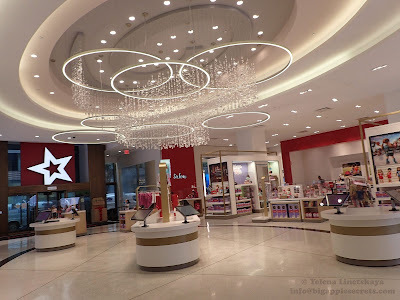 Another can be found at the southern end of The Mall in Central Park, west of West 66th Street. 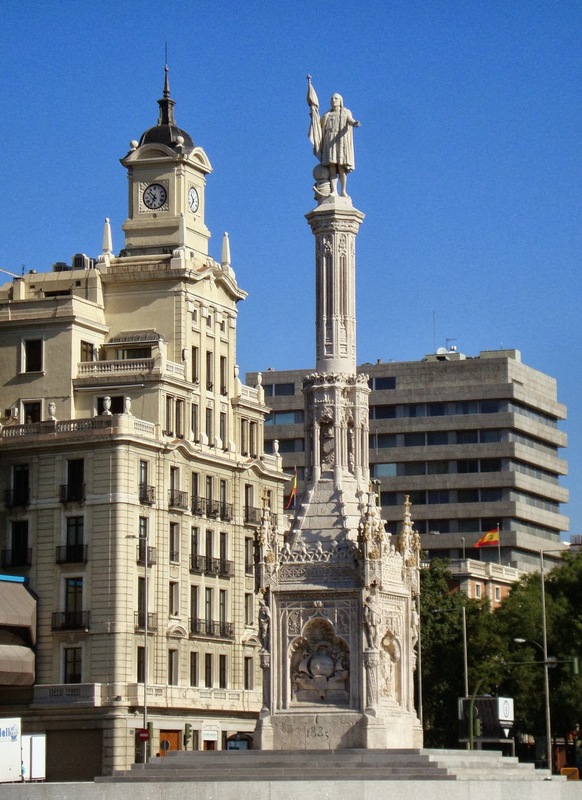 It was done by a Spanish sculptor Suñol’s and is a close copy of his earlier one that was installed in the Plaza de Colon ( Columbus)in Madrid in 1889. Here, Columbus is shown with a flag, a globe and a capstan: a rope-winding device used on ships. 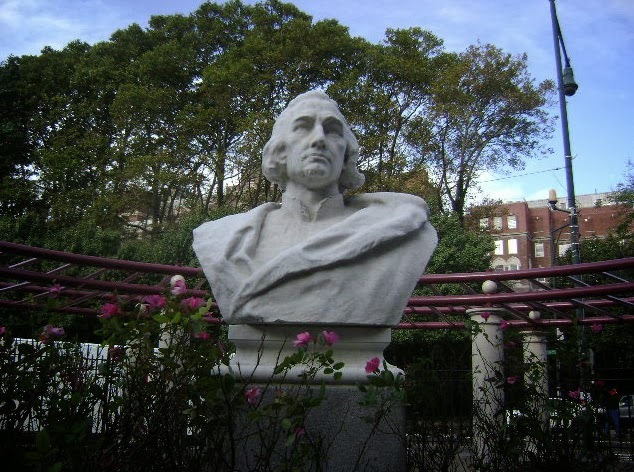 The others statues are located in the Bronx at D'Auria-Murphy Triangle, a small park named for two local men who lost their lives in combat during World War I, and Columbus Square in Queens and Columbus Park in Brooklyn. 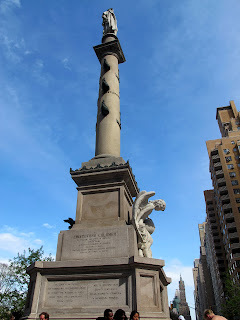 Only George Washington, who lived in New York City while he was President, is commemorated here in more sculpture. 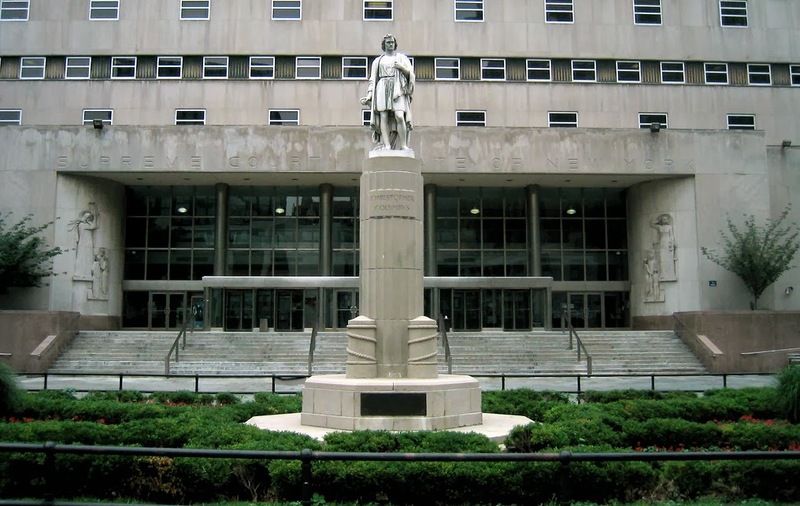 By the way, New York State has 24 such testimonials, and New Jersey has 32 Columbus statues! Last year Christopher Columbus monument got a lot of attention from New Yorkers debating what kind of monuments are appropriate in what some call this age of political correctness.Concern over what should become of the controversial monuments ― which Mayor Bill de Blasio referred to as “symbols of hate” ― bubbled over in August a year ago when a rally protesting the removal of a Confederate statue in Charlottesville, Virginia, turned violent. 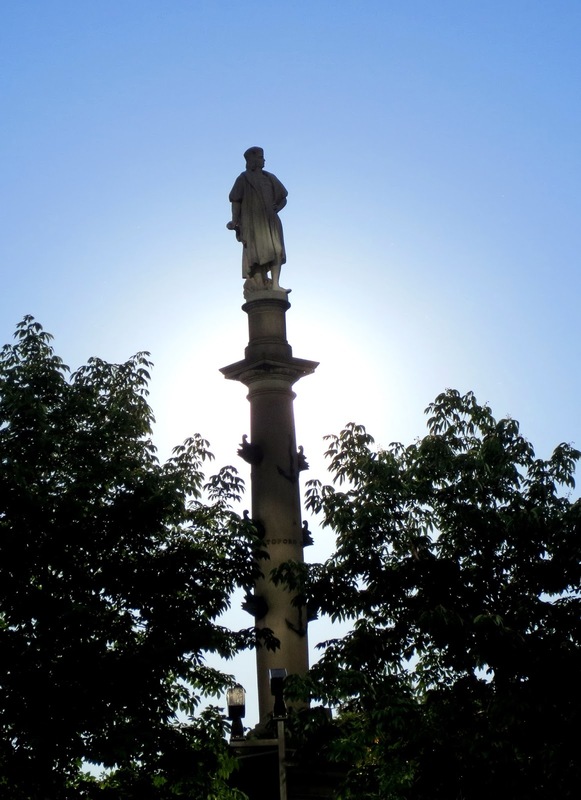 Over 120 artists and scholars from around the country published an open letter o requesting the removal of Columbus monument. 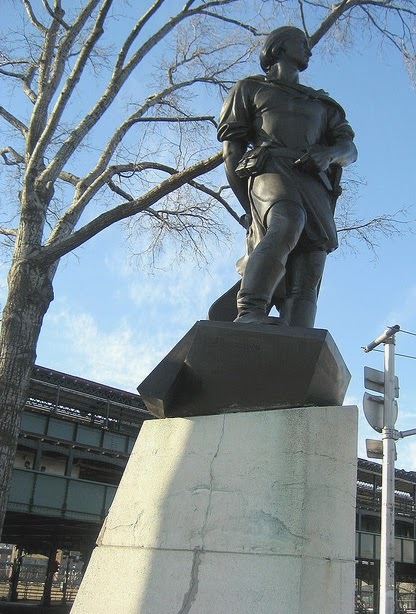 The New York City commission was created to evaluate controversial public monuments.January 2018 majority of the commission voted to keep the Columbus statue in place, but de Blasio also decided that the city will commission a new monument that recognizes the contributions of indigenous peoples.